Mr. Mondesir was born and raised in London, England and joined InvestAmerica Capital Advisors (”InvestAmerica”) in February of 2016 as a spring analyst. 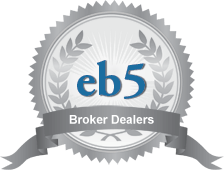 In June 2016 he transitioned into a full time Associate with the firm to assist in providing EB-5 advisory and support services to its clients in connection with EB-5 private equity and debt placements, U.S. institutional debt and equity placements, and related investment banking and compliance advisory services. In January 2018, Mr. Mondesir gained a promotion to Senior Associate after a successful two year period with the firm. 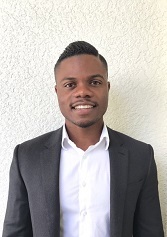 Prior to InvestAmerica, Mr. Mondesir was a men’s soccer scholarship student athlete at the University of Tampa, graduating with an MBA concentrated in finance, as well as playing an integral part in the successful varsity soccer team that competed in the Sunshine State Conference. Dominick was awarded Economics and Sport Science student of the year and played rugby for 7 years at the John Fisher School in Surrey, England winning prestigious national tournaments. InvestAmerica is not a broker-dealer, does not offer securities and is not registered with FINRA or any other securities-regulating organizations. All securities offered through Sequence Financial Specialists, LLC, FINRA/SIPC. Sequence Financial Specialists LLC and InvestAmerica Capital Advisors, LLC are not affiliated.